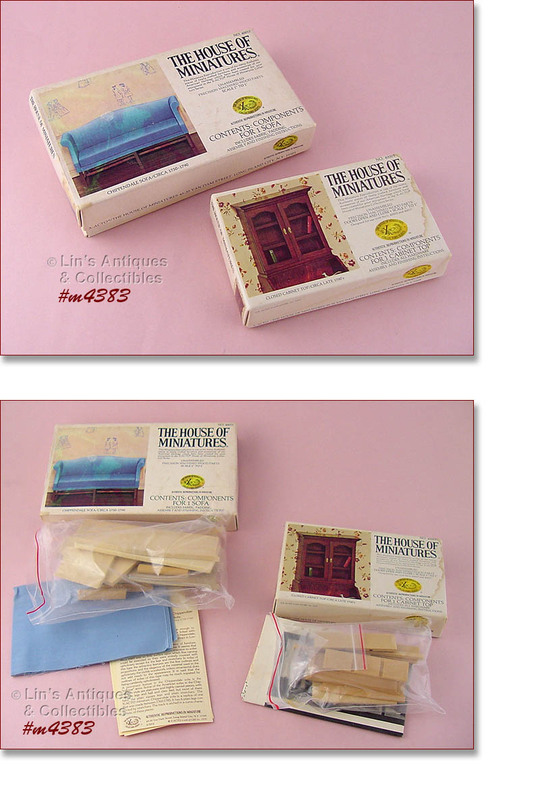 This is a small sample of the large assortment of items we have available in our online shop at Cyberattic. THIS LITTLE SALESMAN’S SAMPLE STETSON HAT IS SO CUTE! HAT IS IN MINT CONDITION AND IS IN THE ORIGINAL BOX. 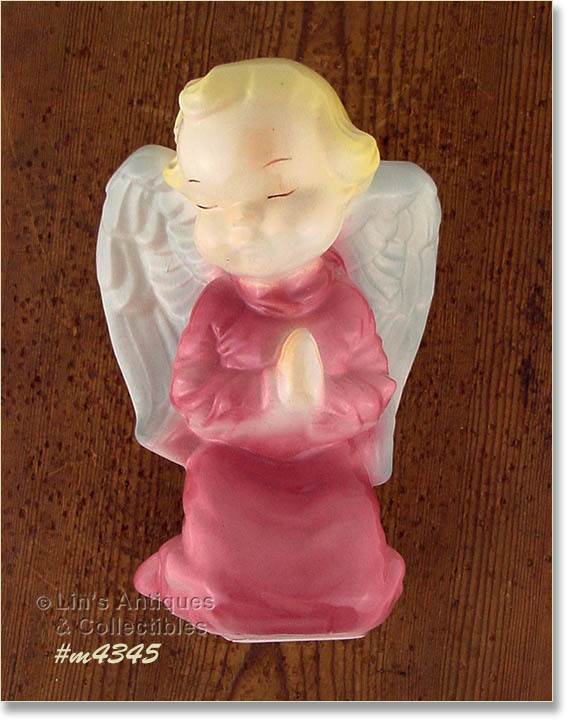 THESE GORGEOUS LITTLE NIGHT LIGHT/LAMPS HAVE BEEN IN MY COLLECTION FOR MANY, MANY YEARS! THEY HAVE BEEN WRAPPED IN BUBBLEWRAP AND STORED – I NEVER USED THEM. LAMPS MEASURE 6” TALL AND EACH HAS A LITTLE INDENTATION IN THE TOP OF THEIR HATS TO HOLD A FEW DROPS OF PERFUME OR SCENTED OIL. THE FRAGRANCE WARMS WHEN THE LIGHT IS ON AND LIGHTLY SCENTS THE ROOM. THERE IS A FEMALE CAT WITH PINK ROSES ON HER HAT AND A MALE CAT HOLDING A BOUQUET OF PINK ROSES. BOTH LAMPS ARE IN EXCELLENT CONDITION AND ARE DIFFICULT TO FIND ITEMS! 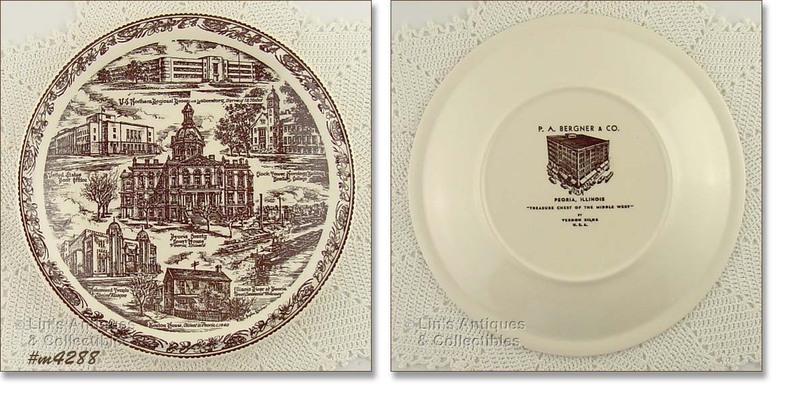 THIS IS AN EXCELLENT CONDITION COLLECTIBLE SOUVENIR PLATE! 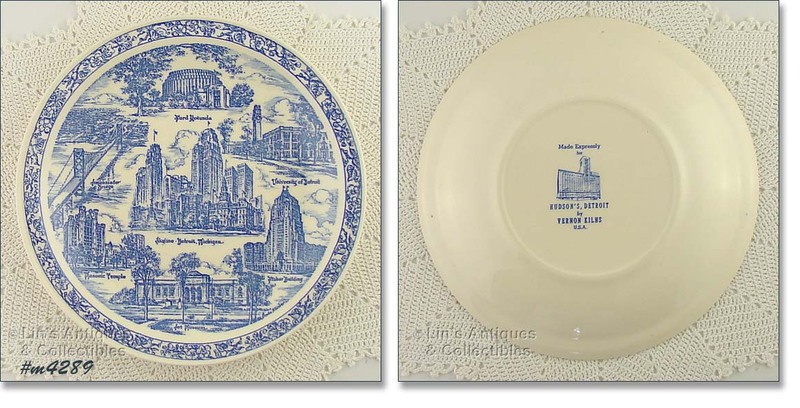 IT’S FOR DETROIT, MI AND WAS MADE BY VERNON KILNS. PLATE WAS AN ADVERTISING/STORE GIVE-A-WAY FOR HUDSON’S OF DETROIT. 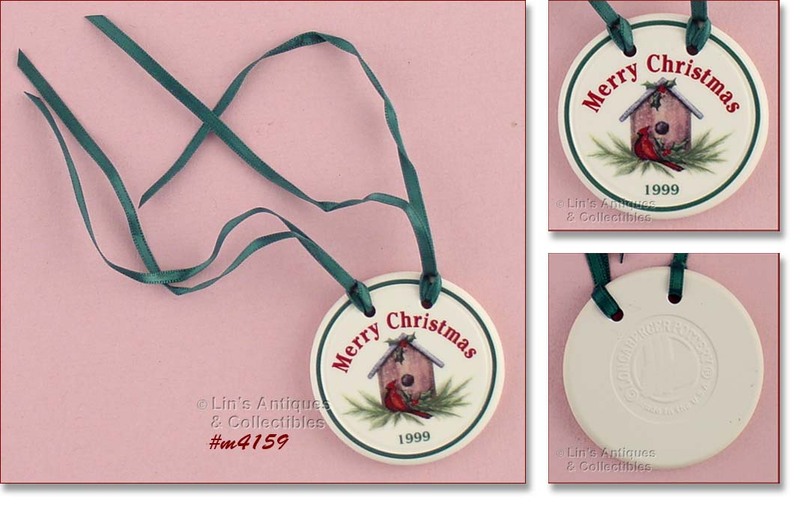 IT MEASURES 10 ¼” DIAMETER – A SUPER COLLECTIBLE! THIS LITTLE FENTON BASKET CAUGHT MY EYE AND I COULDN’T RESIST PURCHASING IT! 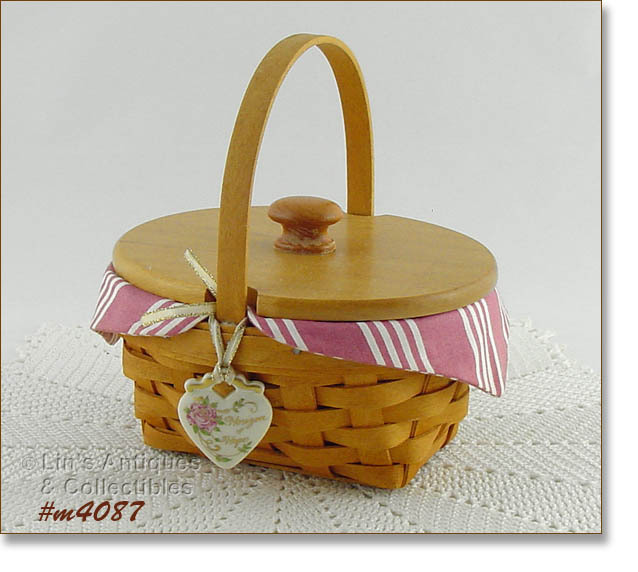 BASKET MEASURES 6” LONG (AT LONGEST), 2 ½” WIDE (AT WIDEST), AND 4 ¼” TALL (AT TALLEST). BOTTOM IS MARKED FENTON INSIDE AN OVAL. BASKET IS A BEAUTIFUL RED COLOR AND THE BASE (FOOT) IS THE PRETTY YELLOW/ORANGE (AMBERINA COLOR). EXCELLENT CONDITION! 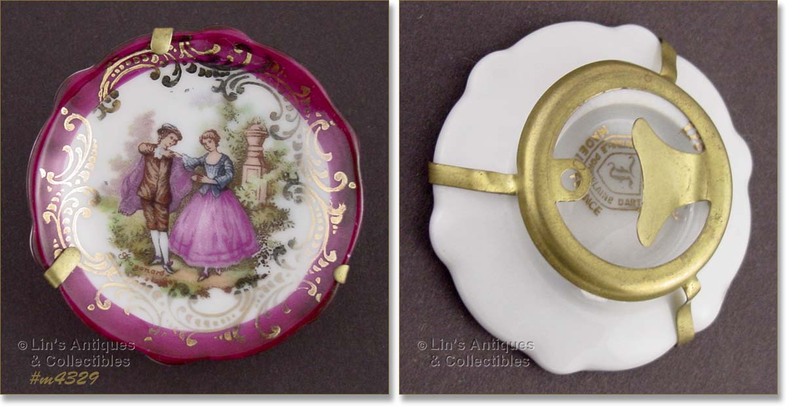 THIS LISTING HAS A BEAUTIFUL LEFTON HAND WITH 2 VERY DETAILED APPLIED PINK ROSES! THESE ARE ACTUALLY LITTLE TRAYS BUT WE PHOTOGRAPHED STANDING ON ONE END SO YOU WOULD BE ABLE TO SEE THE FLOWERS. 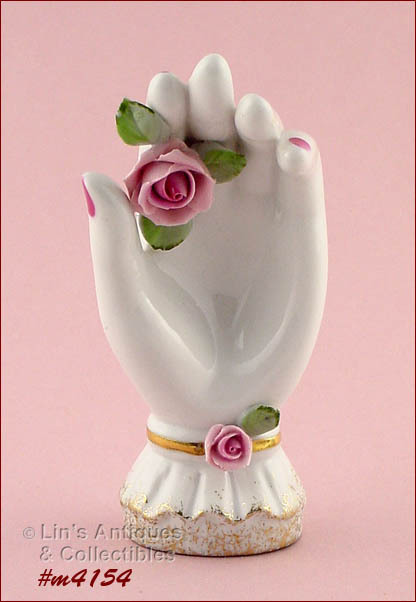 HAND MEASURES 5 ½” LONG (AT LONGEST) AND BACK IS STAMPED “LEFTON CHINA, HAND PAINTED”. THIS IS SO FEMININE AND IS REALLY EXQUISITE – YOU’LL LOVE IT, IT’S SO VERY PRETTY! 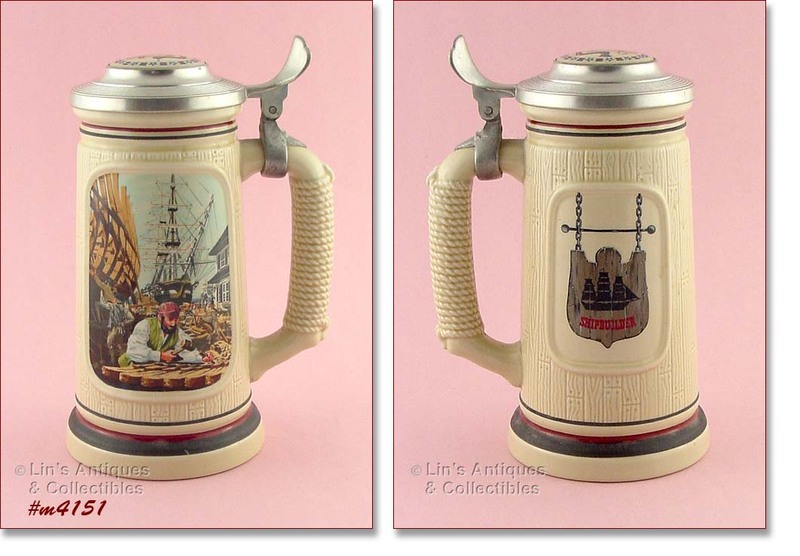 THIS IS A VERY COLORFUL AND DETAILED TALL STEIN (8 3/4") AND IS FROM AVON'S “THE BUILDING OF AMERICA” STEIN COLLECTION. IT IS TITLED "THE SHIPBUILDER" BY ULDIS KLAVINS. STEIN WAS "HANDCRAFTED IN BRAZIL EXCLUSIVELY FOR AVON PRODUCTS, INC.". 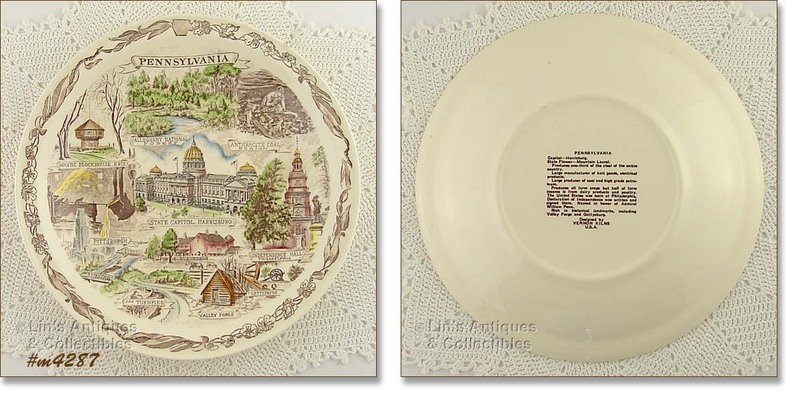 IT IS DATED 1986 AND IS NUMBERED 14275 -- THIS INFO IS ON THE BOTTOM OF THE STEIN THAT FOR WHATEVER REASON, WE DID NOT PHOTOGRAPH -- TOOK A NICE PICTURE OF THE TOP BUT NOT THE BOTTOM. STEIN HAS BEEN A PART OF HUBBY'S STEIN COLLECTION FOR MANY YEARS AND HAS ALWAYS BEEN A DISPLAY ITEM. 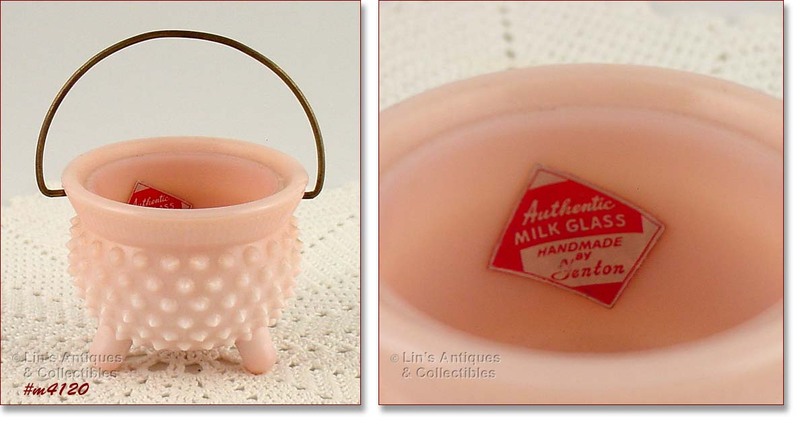 THIS IS SUCH A CUTE FENTON ITEM – A LITTLE CAULDRON! IT HAS A WIRE BALE AND STILL HAS THE ORIGINAL FENTON RED AND SILVER FOIL STICKER/LABEL! 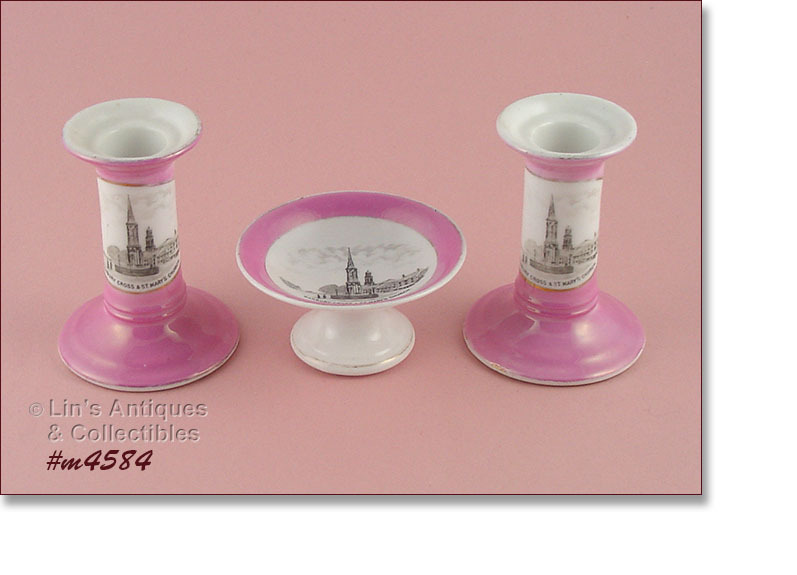 MEASURES 2 ½” TALL, 3” DIAMETER AND IS IN EXCELLENT CONDITION. 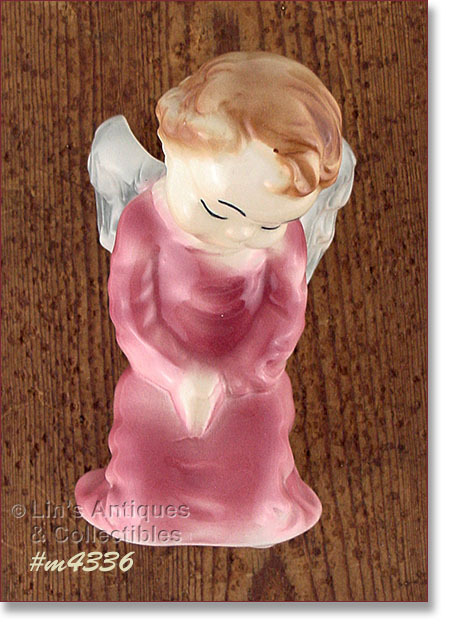 I PURCHASED THIS LOVELY ITEM SEVERAL ITEMS AGO FOR OTHER REASON THAN IT CAUGHT MY EYE – ONE OF THOSE “IMMEDIATELY DRAWN TO IT” ITEMS! 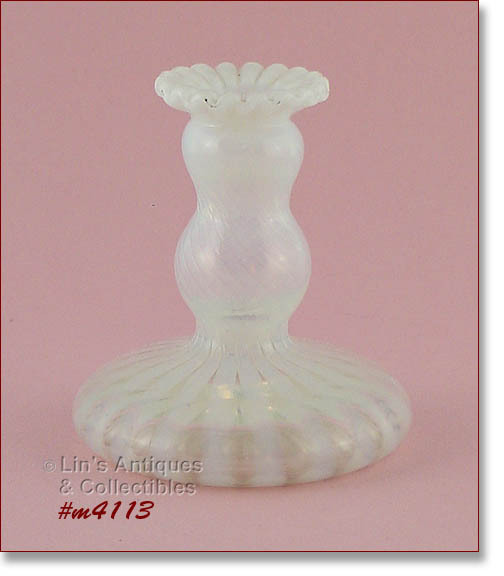 I JUST KNEW IT HAD TO BE FENTON AND ACTUALLY THOUGHT IT WAS A COMBINATION BUD VASE / CANDLESTICK. I FINALLY DUG OUT MY FENTON REFERENCE BOOK (“THE BIG BOOK OF FENTON GLASS 1940-1970” BY JOHN WALK) AND WAS PLEASED TO FIND MY INSTINCT WAS CORRECT – IT IS FENTON AND IS SHOWN ON PAGE 140. 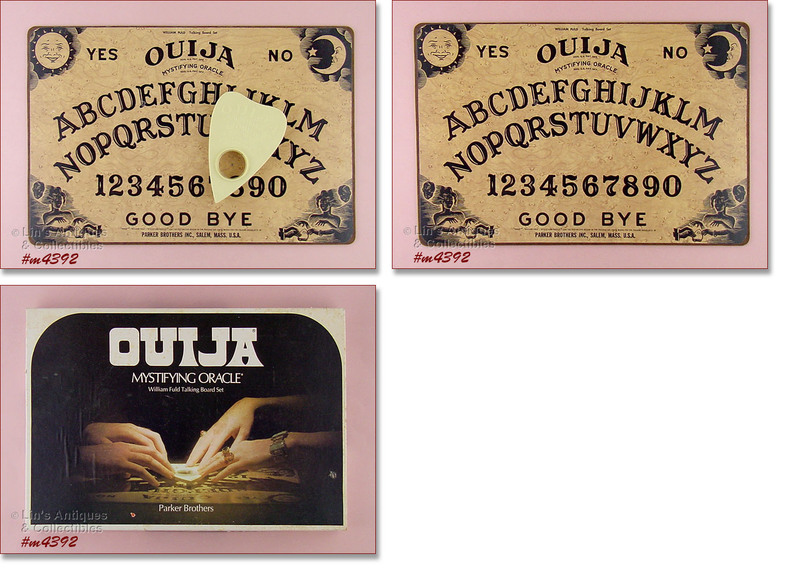 IT IS LISTED AS MOLD NUMBER 1523 AND INDEED, WHEN I TILTED THE CANDLESTICK JUST SO, I COULD SEE 1523 ON THE BOTTOM. PER THIS REFERENCE BOOK (WHICH IS AN EXCELLENT BOOK! 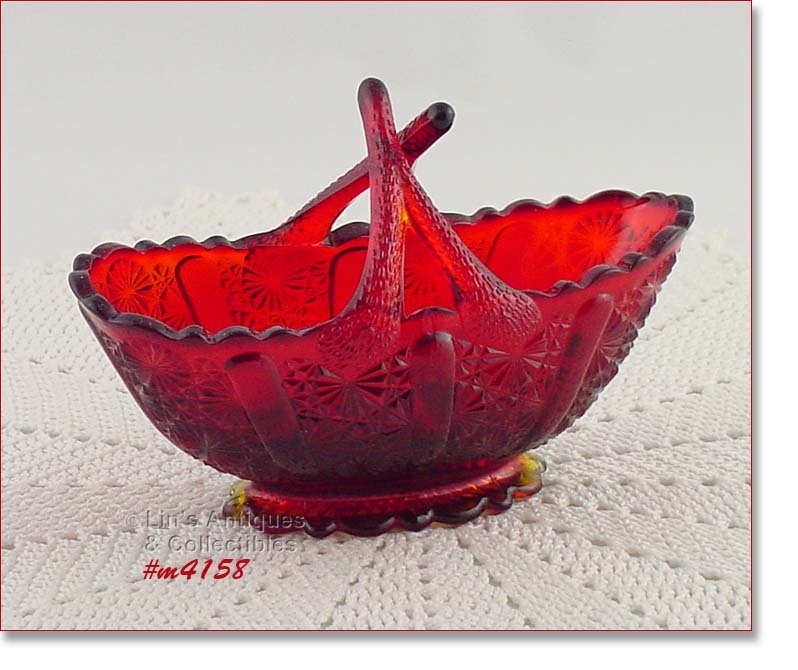 ), THE “SPIRAL OPTIC LINE WAS ONE OF THREE PATTERNS INTRODUCED BY FENTON DURING THE REISSUE OF OPALESCENT GLASS IN 1934” AND “WAS ONLY IN THE FENTON LINE FOR A LITTLE OVER A YEAR”. THE BOOK VALUE OF THIS ITEM (AT TIME OF PRINTING IN 2003) WAS $65-$75 PER CANDLESTICK. 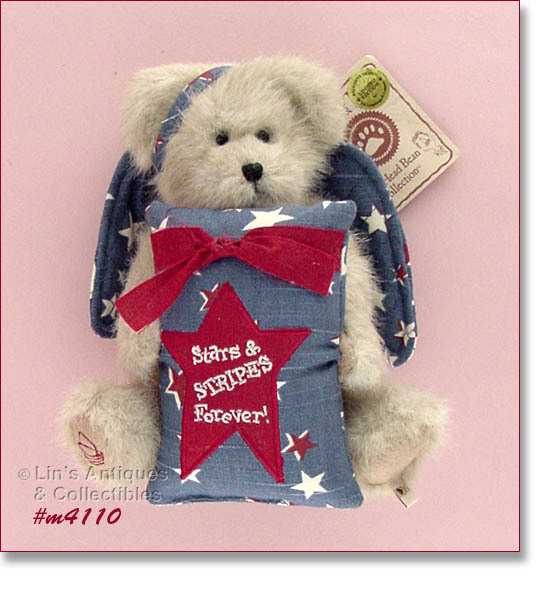 THIS IS A MOST COLLECTIBLE ITEM AND A TREASURE FOR ANY COLLECTION! THIS LISTING HAS AN EXCELLENT CONDITION KREISS CERAMICS POWDER PUFF MAMA CAT WITH HER TWO KITTENS! MAMA STILL HAS THE ORIGINAL KREISS & COMPANY HANG TAG. SUPER!! 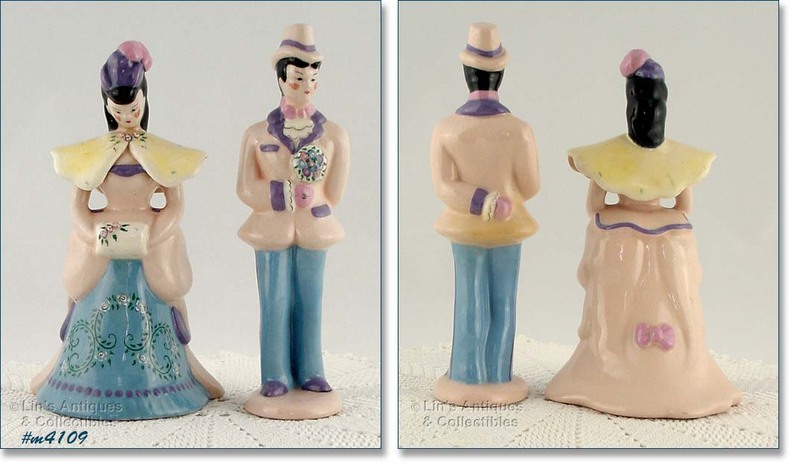 I LOVE KAY FINCH FIGURINES – THE ATTENTION TO DETAIL IS ALWAYS OUTSTANDING AND THIS LOVELY COUPLE IS A PERFECT EXAMPLE OF THAT DETAIL ATTENTION! THEIR CLOTHING IS COLOR COORDINATED; HE “HOLDS” A BOUQUET OF FLOWERS (ALSO COLOR COORDINATED). SHE IS “WEARING” A CAPELET WITH SMALL FLOWER CLOSURES AND HER HAND MUFF IS ACCENTED WITH MATCHING FLOWERS. 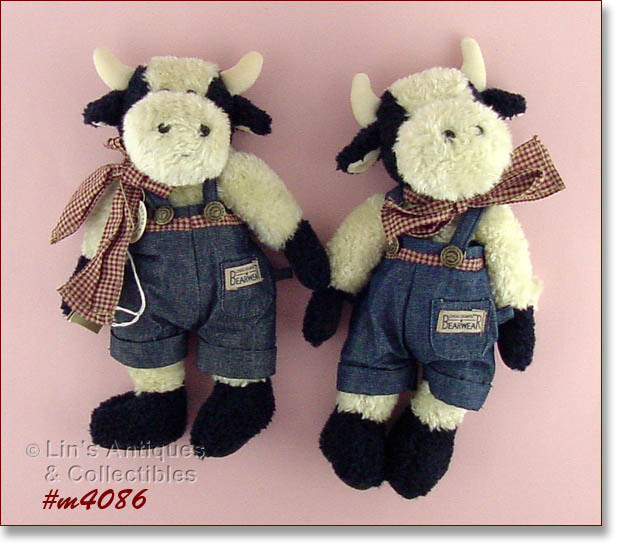 HE MEASURES 7 ¾” TALL (AT TALLEST), SHE IS 7 ½” (AT TALLEST) AND BOTH ARE IN SUPER CONDITION. 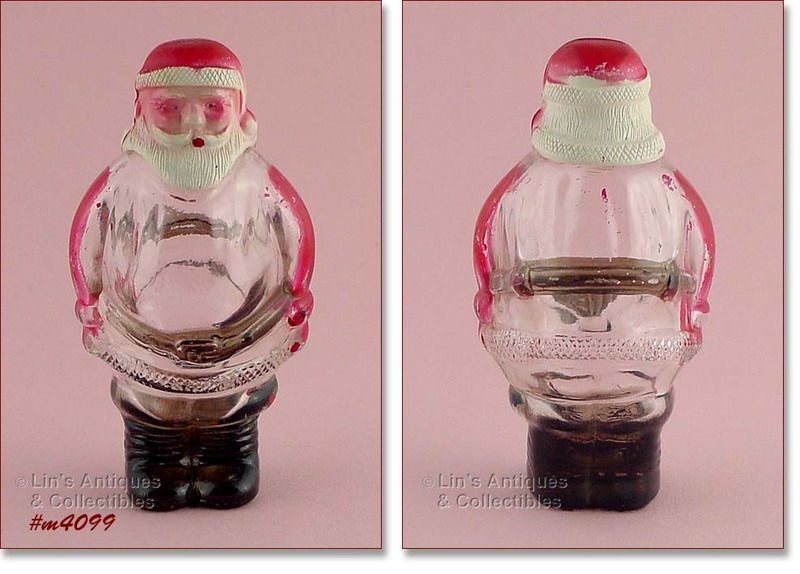 NEITHER FIGURINE HAS CHIPS, CRACKS OR DINGS BUT BOTH HAVE PRETTY ALL-OVER CRAZING THAT IS NOT UNUSUAL ON ITEMS WITH CLEAR OVER-GLAZE. THIS IS ONLY THE SECOND SET OF THESE FIGURINES I HAVE HAD IN INVENTORY. THE FIRST SET WAS SOLD TO A VERY CREATIVE LADY WHO USED THE FIGURINES AS WEDDING CAKE TOPPERS! SHE HAD THE BAKER CONSTRUCT A SPECIAL PLATFORM FOR THEM TO SET ON -- SO THEY WOULDN’T ABSORB SHORTENING FROM THE ICING – AND VIOLA! PERFECT TOPPERS FOR A SPECIAL DAY AND TO DISPLAY FROM THEN ON – HOW WONDERFUL!! 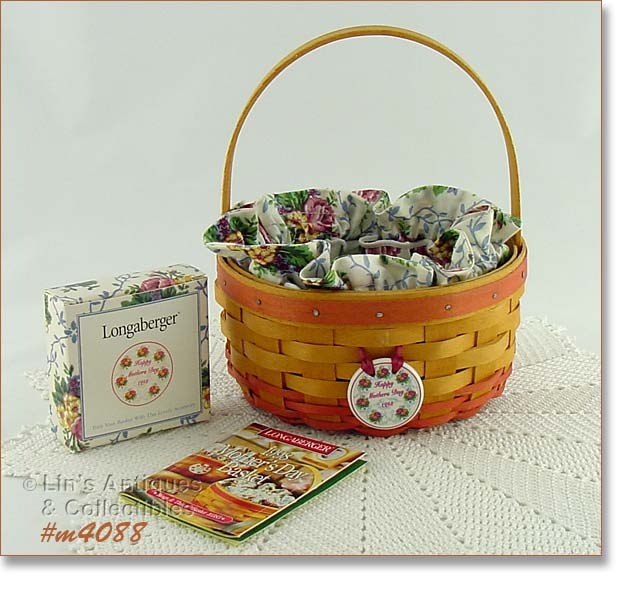 EXCELLENT CONDITION LONGABERGER BASKET! THIS IS THE 1998 MOTHER’S DAY BASKET, RINGS AND THINGS. SUPER COLLECTIBLE, SUPER NICE!